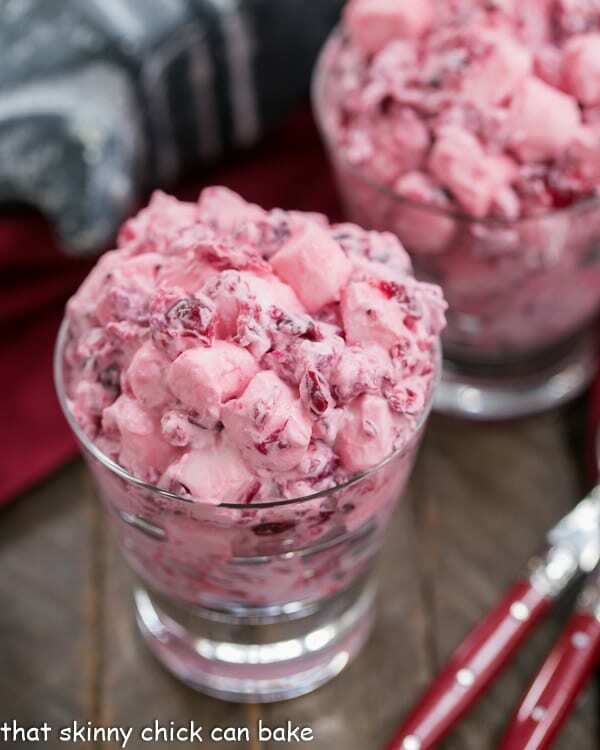 Cranberry Fluff Salad is practically a required side dish for Thanksgiving. 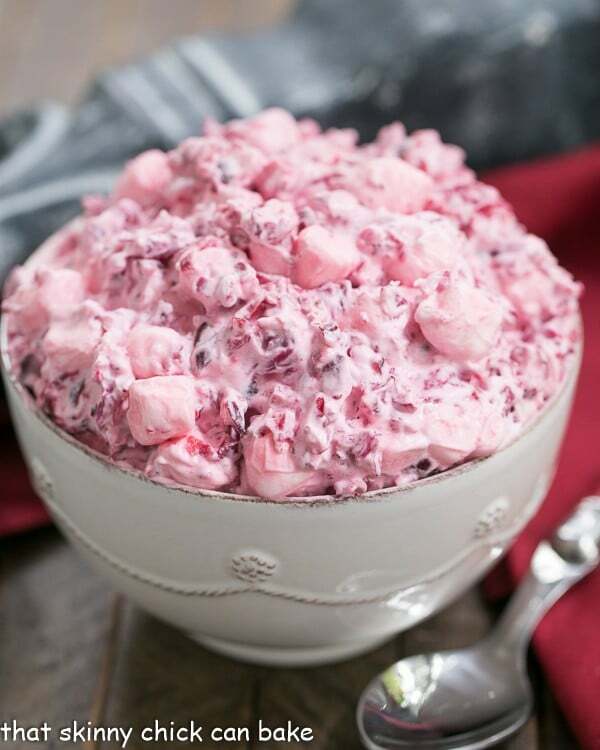 Both my mom and mother-in-law occasionally served their delicious versions of Cranberry Fluff Salad for Thanksgiving. Ground cranberries, crushed pineapple, mini-marshmallows, and whipped cream are the basic ingredients. They each had their own variations. This is mine. My mom would add nuts to this mixture and so did my mother-in-law along with chopped apples and sliced grapes. The options are endless. My version is very basic. No nuts in case one of my children or hubby would dare to take a taste. It’s a winner whether it’s scaled down or packed full of a variety of textures and flavors. This is a blast from the past. I first had it back in the 1970’s, when jello salads were de rigeur. That was my mom’s version. But then later in life, my MIL served it one holiday we were visiting them. 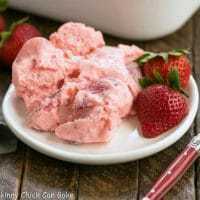 So this recipe comes with sweet memories. We lost my MIL this year and my mom the year before. Both were terrific cooks, with my mom being more adventurous with her palate and recipes and my MIL the queen of good old fashioned comfort food. Eating at either home was always a pleasure and I am blessed with many of their handwritten recipes. You’d think a Thanksgiving salad would be full of classic autumnal ingredients like this Roasted Sweet Potato and Wild Rice Salad. Plus I’d expect an actual salad with fresh greens and vegetables. 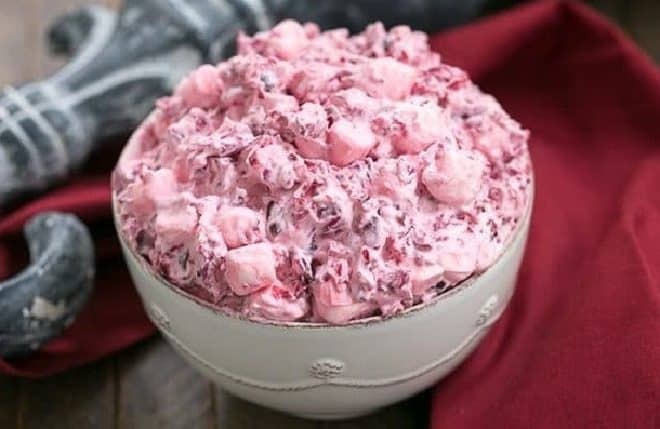 But on holidays, the rules can be bent, and salads full of cream and marshmallows like this cranberry fluff salad fly under the radar! When it comes to Thanksgiving, I’m really not allowed to shake up the menu. I can always add an extra dish, but there some that are a tradition and must be included. My Spinach Souffle, Holiday Fruit Salad, Mashed Potatoes, Stuffing, Turkey (of course! ), and Gravy are a given. Classic Pumpkin Pie for dessert plus a second, usually chocolate, pie. But sometimes I add a little something that only I will eat. In homage to both my moms, I recreated this salad (more like a dessert, but heck, it’s Thanksgiving!) for our holiday table. A dreamy cranberry salad perfect for Thanksgiving. Chop cranberries in a food processor. Remove to a bowl. Mix in sugar, cover, and refrigerate overnight. Add well drained pineapple and marshmallows. Mix to combine. Whip heavy cream to stiff peaks. With a rubber spatula, gently fold the cream into the cranberry mixture. Refrigerate until ready to serve. Love the colors in this! So fun!! I’m craving a bowl of this! Gorgeous picture Liz! This looks fantastic! 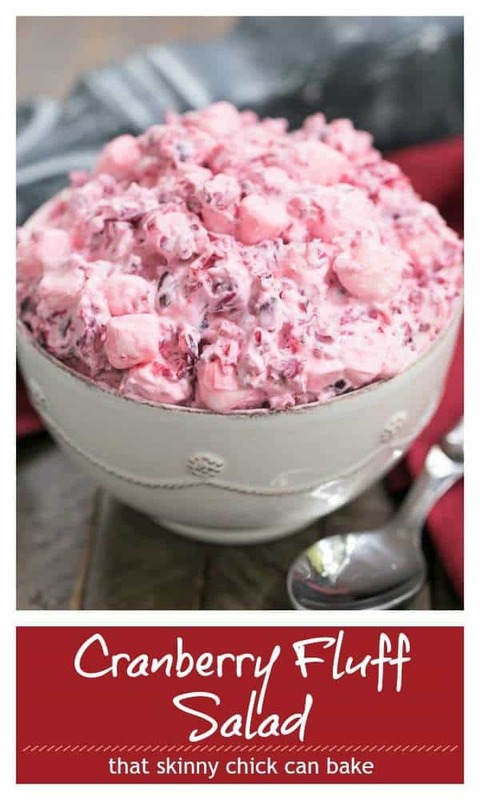 I’ve had cranberry salad, but not the fluff! I’m trying it this year! Classic salad! You have very good color on this one! Can you just use Cool Whip in place of the heavy cream? Yes, I think that should work! 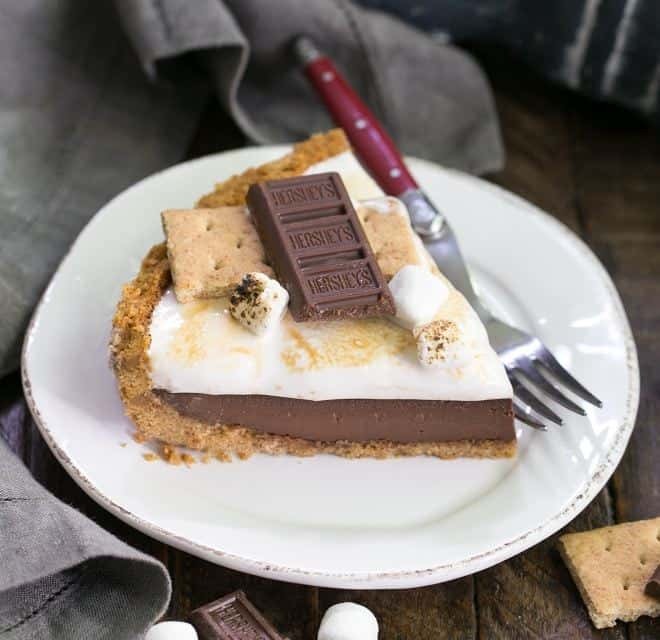 Hope you enjoy and let me know how it goes with the Cool Whip. If this tastes as good as it looks I sure will earn that crown of the best cook. Cant wait to surprise my family. Yum! Looks like dessert to me. 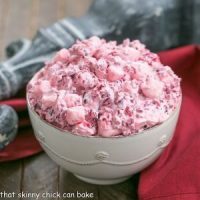 I love a good fluff salad, especially one that includes cranberries! I love a good fluff salad and this one sounds SO tasty! This salad totally takes me back to sunday lunch growing up! So good! This looks so fun and festive! It will be a perfect addition to the Thanksgiving menu! I’ve never tried it without the pineapple, but I think it could work. I looked for some recipes without pineapple and I found one using diced apples and grapes instead if you want to try that or just omit them all together. If you try it, let me know how it goes! This is such a pretty stand-out on your holiday table! A classic recipe for TG indeed. Thank you! 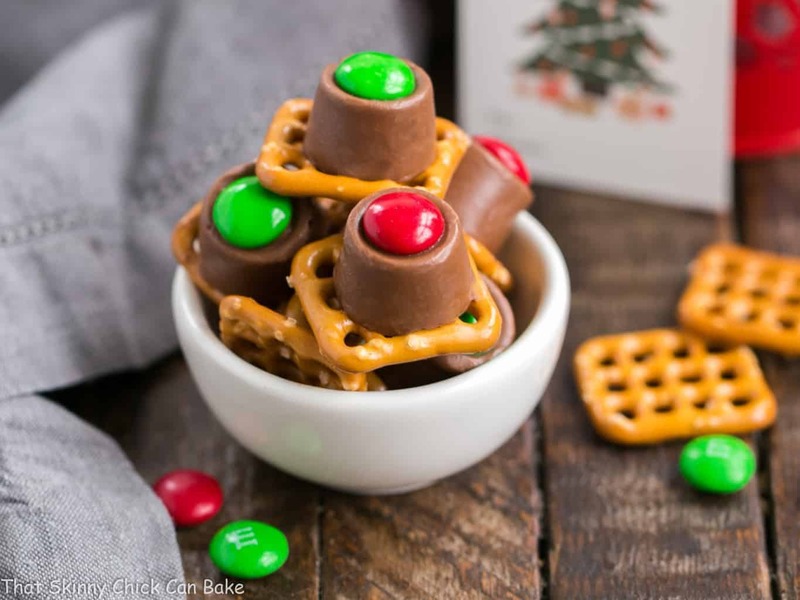 We LOVED this seasonal fluff recipe!! A perfect Thanksgiving side dish! 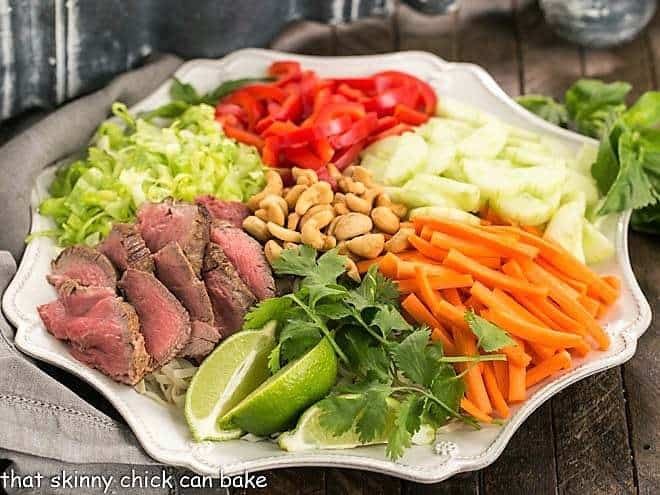 This is such a classic salad! I love this! Such a gorgeous side dish!! 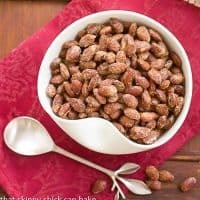 This is literally my favorite holiday side dish! 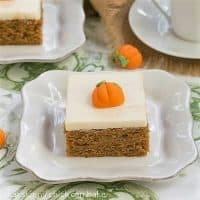 Can this be made one day ahead or will the whipped cream get watery? It can be made a day ahead! It’s actually better if it sets up overnight. Hope you enjoy, Kristy! Can I make this without letting the chopped cranberries sit overnight with the sugar? Since I know it is better the next day, I was thinking of doing it all tonight. Thanks! Hi, Joni, I’ve only made it as written, but I just checked another recipe to compare and it said to mix, cover and refrigerate for just an hour. So, I think you’d be OK! Fingers crossed it’s a hit. Happy Thanksgiving! wow, these glasses looks really really SWEET!! 😍😍😍 I would love to make it immediately! 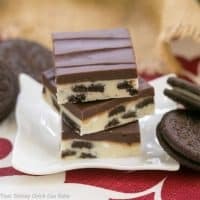 My mom used to make a version of this with cottage cheese. No one but my siblings and cousins will eat it – I guess because we grew up on it. Yours sounds much more appealing. This salad looks so beautiful ! It will be nice at Christmas time. Looks very delicious! Thank you for the ideas for side dishes!